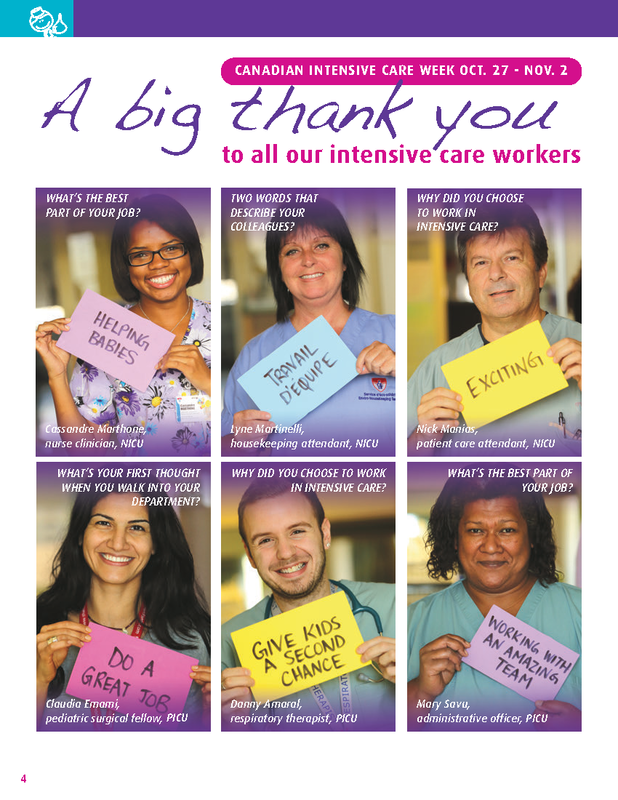 Join us in thanking our intensive care staff for the amazing work they do year-round. No parent ever wants to see their child wake up in the Neonatal or Pediatric Intensive Care Unit. Yet when a critically ill newborn, infant or child needs access to constant monitoring and support from specialized equipment and medication, the Montreal Children’s Hospital’s critical care teams are present 24/7, 365 days per year. Canadian Intensive Care Week runs from October 27 to November 2, and to mark the outstanding dedication and commitment of our multidisciplinary staff members in both our Neonatal and Pediatric Intensive Care Units, we asked them a few questions about what they like most about their jobs, and why they chose to work in an intensive care setting. Join us in thanking them and all of their colleagues for the amazing work they do year-round.